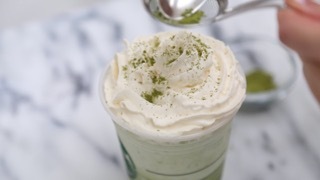 ﻿Love Green Tea Frappuccinos? I love ordering these at Starbucks (especially during the summer) because I'm pretty much crazy for anything that has matcha in it. So, I started to experiment making these at home, trying to get them as close to the way Starbucks makes them for a Copycat Recipe. I do admit when I order these at Starbucks, I opt for less sugar and sometimes a different milk. 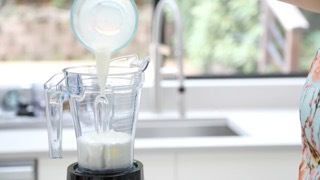 That might be why I've been going crazy making these at home lately with my blender. 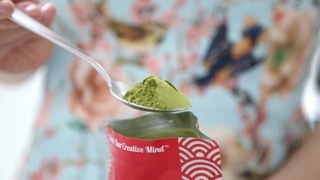 Looking for a good matcha? 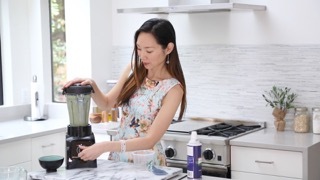 Try Epic Matcha's Culinary Grade Matcha Powder. TIP! 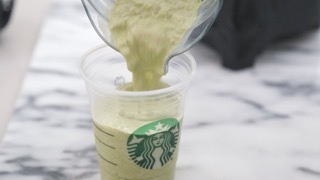 This recipe mirrors the level of sweetness from Starbucks. If you prefer a less sweet Frappuccino, reduct the amount of cane sugar. I usually opt for 2 Tbsp. instead. Ready in Total Time: 5 min.